Which buildings can have asbestos fire issues? Properties constructed prior to 1990 in Sydney & Melbourne are likely to contain asbestos within their fabric. In residential building the majority of asbestos is found within the wet areas such as bathroom, kitchens and external eaves. 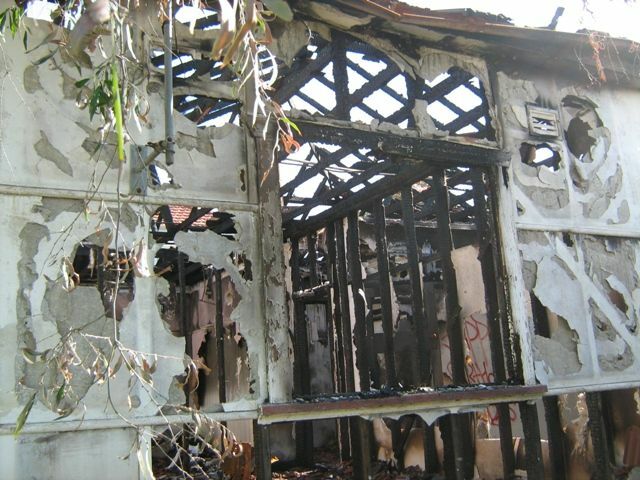 Asbestos fire damage in such properties can spread to neighboring properties and cause asbestos fire contamination in a much greater area than that of the building’s own foot print. Would asbestos fire damage release breathable airborne asbestos fibres? 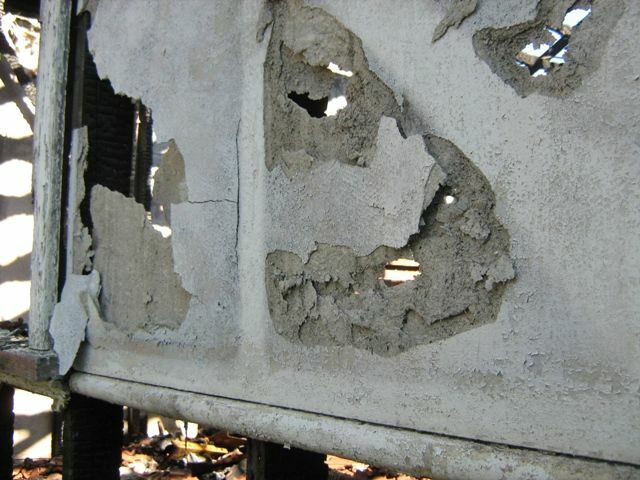 Most airborne asbestos release which results from asbestos fire damage occurs during Spalling of materials such as Asbestos Cement Sheeting (Explosion of cement sheeting caused as a result of built up of steam within the cement matrix). Asbestos fires do not completely destroy asbestos containing materials, but can cause significant extensive damage to structural integrity of asbestos containing building materials, which would in turn lead to release of airborne asbestos. Additionally, the collapse of structures after or during asbestos fire damage such as roofing girders and rafters could result in asbestos roofing breakage and asbestos debris production, which in turn released airborne asbestos fibres. The level of airborne asbestos may be dependent of the friability of asbestos fire damaged materials. For example, there is a greater chance that airborne asbestos fibres are produced from collapsed asbestos fire damaged pipe insulation then asbestos fire damaged bitumen roof felting. What to do in the aftermath of an Asbestos Fire? The major issue with Asbestos Fires is the debris left behind which can be very fine pieces and/or bundles of asbestos fibres which can be spread to a large area as a result of Spalling. 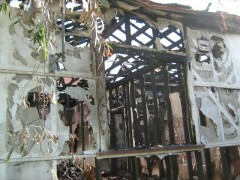 Asbestos contamination can be found within ash and dust after and during an asbestos fire. Do not enter damage asbestos fire contaminated area to reduce chances of disruption, exposure or cross contamination.